HomeBlogHeadhunter InsightsWill Video Play a Big Role in Recruiting? How good are you on camera? Video is increasingly becoming an important part of marketing. Not only for marketing campaigns but for hiring and recruiting as well. Traditional ways of recruiting are no longer enough to find great talent. You need to be innovative and you need to use a variety of strategies and tactics to develop a strong and diverse talent pool. On the other hand, video can also be used by candidates to show more to recruiters if their resume doesn’t do them justice. Here we will look at how video could play a big role in recruiting in the future. How Does Video Impact Candidates and Recruiters? 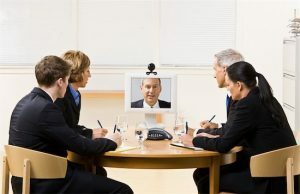 The use of video during recruiting can impact both the candidate and hiring companies. Candidates can have the ability to submit video resumes, answer interview questions and give companies a better sense of who they are personally and professionally. Hiring companies can offer video job ads and other marketing video materials to communicate the company culture, discuss job openings and provide more information about job opportunities. Three-quarters of people surveyed expect video to be a part of their search for talent in the future. 80% believe videos from recruiters speaking about a job will help them better understand the opportunity. About one-third say traditional resumes are not effective enough to help them express the value they can offer a prospective employer. Will Video Replace the Resume? We’ve heard claims about the demise of the resume for some time now. Many are now pointing to video to be the one thing that could unseat the traditional resume. While a resume is effective at providing a summary of a candidate’s work, you learn very little about the personality and the person behind the resume. Video allows you to see the human side of candidates. You can see how they present themselves, how they speak, how they communicate and get a better overall sense of who they are. In this sense, video is a great complement for the resume as part of a job application. Will video completely replace video? Probably not. But you can expect it to be used more, and in a variety of ways, in the job seeking and recruitment process.